Give her your tired, your poor, your huddled masses… Well, maybe not. At least start enjoying your beverages from this cool 16-ounce Betty Boop Liberty Insulated Tumbler. 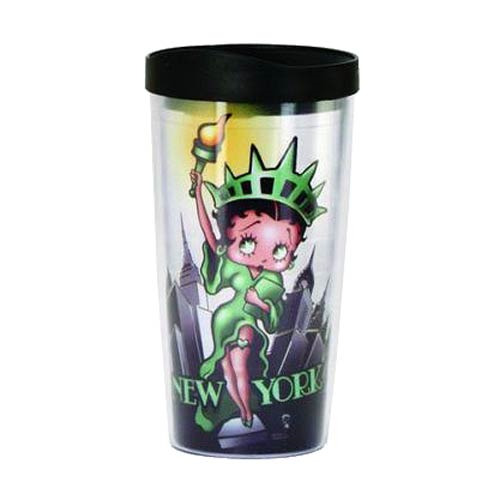 It stands about 6 1/2-inches tall and features double-wall acrylic construction, a travel lid with sliding closure, and an image of Betty made up as the Statue of Liberty. BPA free, use it for hot or cold drinks! Hand wash only. Not dishwasher safe. Do not microwave.